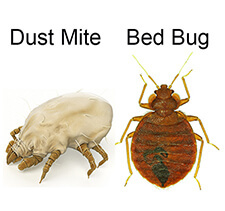 A big thank you to bed bug barrier for giving my husband and I a good nights rest! Right from the get go we had instant relief from bed bug bites & itches the moment we put the barrier over our queen size mattress. Not only did the order come within a timely manner, the instructions were simple & not to mention a very cost effective product!! We were contemplating on purchasing a new mattress due to a recent relocation of home in which we may have picked up the nasty little bugs but once we made the decision of purchasing the bed bug barrier we truly couldn’t be happier & not only did it save us from purchasing a new mattress we also get great relief in knowing the mattress is protected from other elements such as dust/dust mites. Great product and highly recommend to family and friends!! !